The suc­cess of an R&I pro­ject often depends on brin­ging tog­e­ther the right part­ners. The five orga­ni­sa­ti­ons that form the Bava­ri­an Rese­arch and Inno­va­ti­on Agen­cy have access to an exten­si­ve net­work of con­tac­ts from sci­ence, indus­try (par­ti­cu­lar­ly SMEs) and public insti­tu­ti­ons across Bava­ria and the who­le of Euro­pe. Our experts are hap­py to help app­li­cants expand their own net­works and put them in touch with sui­ta­ble Bava­ri­an and/or inter­na­tio­nal part­ners for inno­va­ti­ve pro­jec­ts. Using a pro­ject sketch, we search for spe­ci­fic exper­ti­se that will help to bring a pro­ject idea to life or com­ple­ment an exis­ting con­sor­ti­um. At major inter­na­tio­nal events, we hold match­ma­king events in an effort to iden­ti­fy new, inte­res­ting con­tac­ts. We also orga­ni­se our own net­wor­king events, giving Bavaria-based orga­ni­sa­ti­ons the chan­ce to con­nect with future coope­ra­ti­on part­ners. The Bava­ri­an Rese­arch and Inno­va­ti­on Agen­cy can also faci­li­ta­te access to the ser­vices offe­red by the Enter­pri­se Euro­pe Net­work. The Enter­pri­se Euro­pe Net­work (EEN) is the European Union’s lar­gest con­sul­tan­cy net­work set up espe­ci­al­ly for small and medium-sized enter­pri­ses. It offers sound advice and sup­port rela­ted to fun­ding, rese­arch pro­gram­mes, public pro­cu­re­ment, mar­ket access and inno­va­ti­on sup­port. This makes the EEN a cen­tral, inter­na­tio­nal hub for the search for coope­ra­ti­on part­ners. The net­work is made up of around 600 orga­ni­sa­ti­ons from over 60 coun­tries in total – inclu­ding Bay­ern Inno­va­tiv and the Bava­ri­an Rese­arch Alli­an­ce, both of which are part of the Bava­ri­an Rese­arch and Inno­va­ti­on Agen­cy. 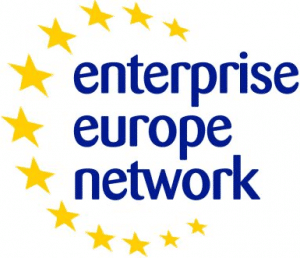 They form a link bet­ween sci­ence and indus­try and help to actively con­nect SMEs with uni­ver­si­ties on a European level. We are delight­ed to help inter­na­tio­nal con­sor­tia find a sui­ta­ble Bava­ri­an part­ner for their pro­jec­ts.